Every year in the Midwest, thousands of outbuildings, including pole barns and machine sheds, are built, refurbished or added onto. Many of these buildings are using Insulated Concrete Forms (ICF) to add energy efficiency to the property. 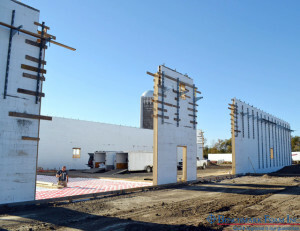 While using ICFs may have increased construction costs, the lifelong energy savings in utility costs will easily recoup those dollars. 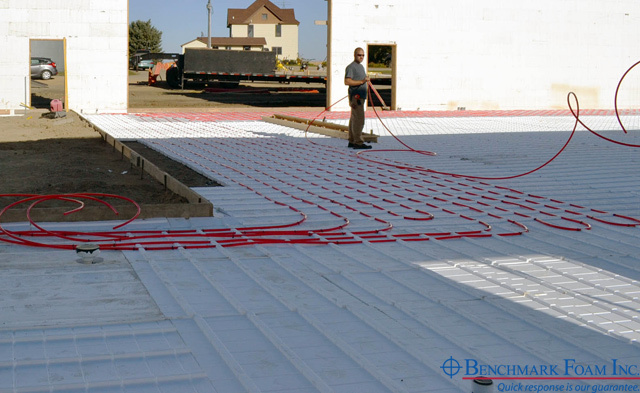 Another value added product that property owners are including in their outbuildings is radiant in-floor heating systems. The radiant heat eliminates the need for duct work or forced air and provides a more stable heated environment for these work and storage areas. Thermo-Snap™ panels are often used as insulation for in-floor heat systems. These 4’ x 4’ panels reduce labor and material costs for the installers while providing lasting R-Value and frost protection for the property owner. Building with ICFs and Thermo-Snap™ for in-floor heat systems provides the ultimate in energy efficiency for homeowners, while simplifying the installation for contractors. Next time you’re working on an outbuilding – or even a home project – call Benchmark at 800-658-3444 to find out how you can save with insulating products from Benchmark Foam.